Are you a beginner or new to drones? Like to know about the drone basics? Here is the article for you! Let’s get started with drones in 2019. Understanding drone basics is a must one to know about the drone industry. Drone technology has come a long way, which means we’ve been able to pack more capabilities into smaller, less expensive packages. Remote control drones have become affordable and easy to use. So it’s the perfect time to get your new RC drone! These are some of the most affordable UAVs on the market today, and they’re great for anyone looking to get some flight practice under their belt. They’re also great gifts for both adults and kids. It is defined by statute as an aircraft that is operated without the possibility of direct human intervention from within or on the aircraft. The other names for UAV include Drone or Copters. Drones that are operated with a Remote controller is termed as RC Drones. Usually, most of the UAVs are operated with remote-controlled devices. It is a UAV that has three motors/propellers. It is a UAV that has four motors/propellers. It is a UAV that has 6 motors/propellers. It is a UAV that has eight motors/propellers. It is a UAV that has multiple rotors. There are 3 grades of Quadcopters. Toy-Grade: It is small-sized quadcopters, usually in nano/micro sizes. So the cost is inexpensive and a good to start with for beginners. Hobby Grade: Mid-sized Drones, used by beginner flyers with some experience. The price is somewhat cheap and has few advanced features. Professional Grade: The professional drones or High-end drones with 4 or more propellers. It has advanced features such as HD cameras, GoPro support, automated operation, easy flying, flying long range, gives longest flight times, etc. Accelerometer: The accelerometer sensor is designed to measure the linear acceleration. Barometer: This sensor is designed to let the drone know how high above the ground it is. We can measure the altitude during flying the drones. Gyroscope: A gyroscope is designed to measure angular acceleration on an x, y, or z-axis. Basically, it’s responsible for allowing the drone to fly in a stable manner. Usually, most of the high-end drones have 6 axis gyro for stability. 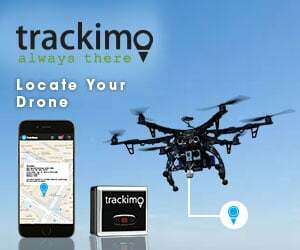 Global Positioning System (GPS): A GPS sensor allows satellites to pick up on a drone’s location so that the flyer can track the drone. If you are a recreational drone user and wants to fly a drone as a hobby, then no need of any drone certification or drone pilot license to fly it. But if you are like to fly a drone for commercial purposes, then you must need a commercial drone pilot license issued by FAA. To get the drone certification and know about the requirements, check this separate article. You need to register your drone at FAA if it weighs between 0.55 pounds and up to 55 pounds. If it exceeds the 55 pounds also needs drone registration. To know more about check the Drone Registration Guide. You can get the detailed guide about no drone zones here! Follow the below guides to fly your drone. Be aware of airspace requirements. Don’t fly the drone near other aircraft, especially near airports. Fly at or below 400 feet. Give way to manned aircraft. Never fly drones near emergency response efforts such as fires. Never fly over groups of people, over stadiums or sports events. You must keep your drone within your eye of sight. FAA Drone Registration – How to Register a Drone or UAS? Here is the detailed drone-buying guide. Follow Me Drone: 15 Best Camera Drones that Follows You! David Knox is an FAA-certified drone pilot and I have been in this industry for 8+ years. With his long experience, he likes to help newbies and the professionals to find the best drones for their purpose so that they become a successful drone pilot and can enjoy flying the drones.